With regards to the UK, British manufacturing output suffered its biggest decline since 2009 in Q1 of 2016, but production is still expected to rebound over the next three months. The Confederation of British Industry’s monthly survey showed manufacturing output volumes fell to -15 in the three months to March from 0 in February. The Rightmove HPI (House Price Index) showed that house prices in the UK rose from 7.3% last month to 7.6% this month. Rightmove’s Chief Economist commented that; ‘As we look ahead, the risks are skewed towards a modest acceleration in house price growth, at least at the national level and that the labour market appears to have significant forward momentum. Employment has continued to rise at a robust rate in recent months and, while the pace of earnings growth has slowed somewhat, in inflation-adjusted terms regular wages continue to rise at a healthy pace. With this trend expected to continue and with interest rates also likely to stay on hold for longer than previously anticipated, the demand for homes is likely to strengthen in the months ahead. For the British Pound in particular, the news out of Belgium, regarding the attacks represents a new piece of evidence for the 'vote to leave' camp for the upcoming EU referendum on June 23. These types of events can feed into a 'fear-driven' mindset when it comes to the June 23 vote. The initial reaction to the attacks has likely run its course, however over the coming days politicians will try to capitalize on the populist anti-immigration sentiment by endorsing ‘the leave’ campaign, this could mean further weakness in the pound in the coming days. In terms of data, the UK consumer price inflation (CPI) was unchanged in February on an annual basis, the Office for National Statistics (ONS) showed. The UK CPI rose by 0.3% year-on-year in February, maintaining the same pace of expansion recorded in the previous month and slightly below the 0.4% reading that analysts expected. The report added that the largest downward contribution came in the transport sector from price changes for items such as road passenger transport, second-hand cars and bicycles. That, however, was offset by an increase in food prices, with vegetables recording the sharpest hike in price. On a month-on-month basis, CPI advanced by 0.2% in February, compared with expectations for a 0.4% gain and rebounding strongly from the 0.8% decline registered in January. Wednesday marked a three-month countdown to the U.K.’s June referendum on its membership in the European Union (EU), as fears of a Brexit, with a vote to leave the group is known, there is increased pressure on the pound. 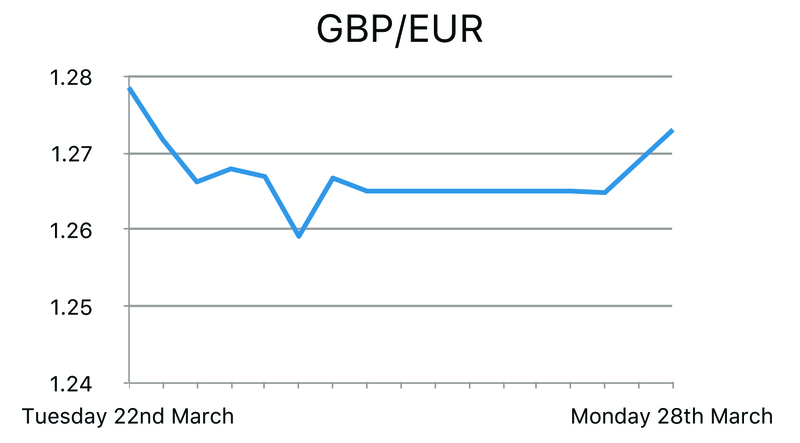 On Tuesday we saw the pound lose more than 1% and was driven to one-week lows, as terrorist attacks in Brussels sparked speculation that Britain’s would be compelled to leave the EU. 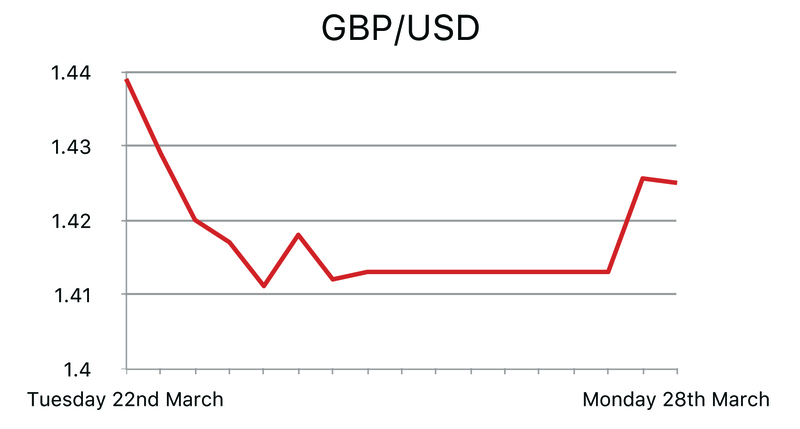 Sentiment towards the pound has soured this week after the resignation of a senior pro-"Brexit" minister and criticism of finance minister George Osborne over his 2016/17 budget. The latest ICM poll on the referendum released on Wednesday showed that 43% of U.K. respondents were in favor of a Brexit, compared to 41% who preferred to remain in the EU and 16% who were undecided. In the US, the Chicago fed National Activity Index was released, which is a monthly index designed to gauge overall economic activity and related inflationary pressure. This came out lower than expected at -0.29 from 0.41 the month before. Existing Home Sales Change for the month of February dipped considerably from 0.4% to -7.1%. Analysts at Morgan Stanley released a paper stating that GBP/USD could fall to 1.35 in the weeks leading up to the June 23rd referendum, and as low as 1.15 by 2017 in the event of a Brexit. Global equity markets fell and the dollar advanced on Wednesday as investors attempted to measure the path of interest rates by the U.S. Data released yesterday showed that the number of mortgage applications in the U.S. fell last week, as interest rates held steady. In the Eurozone, the ECB Current Account was released showing the net flow of current transactions. 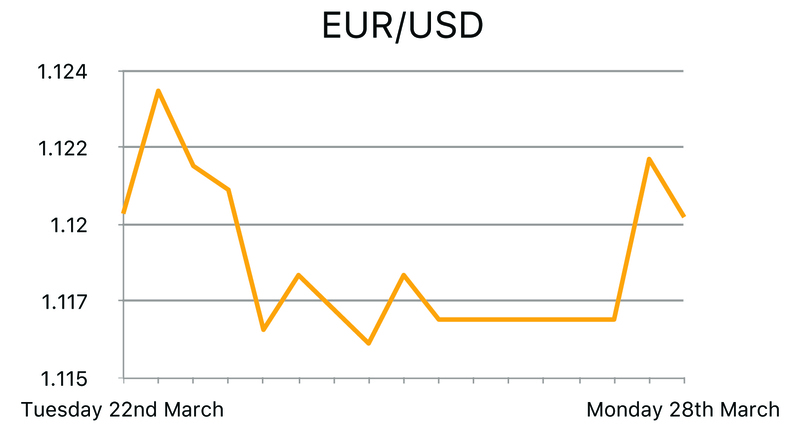 This came in considerably lower than expectations at €25.4B, which was a decrease from €28.6B the month before. ECB also released figures for Consumer Confidence, which again came in considerably lower than expectations at -9.7, a decrease from -8.8 the month before.